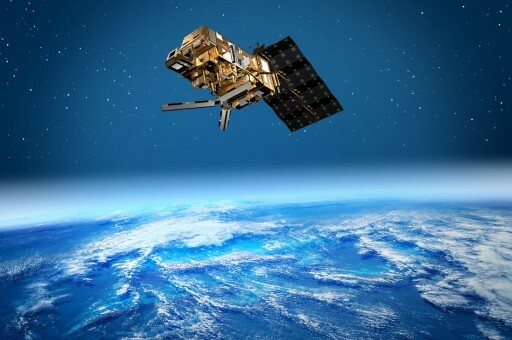 The MetOp – Meteorological Operational Satellite Program is a joint venture by the European Space Agency and EUMETSAT, the European Organisation for the Exploitation of Meteorological Satellites. EADS Astrium is the prime contractor and satellite manufacturer for the program. MetOp Satellites are also part of the European half of the Initial Joint Polar System of NOAA and EUMETSAT. MetOp spacecraft carry an number of instruments that are also used aboard NOAA vehicles to provide data continuity between MetOp and the NOAA Polar Operational Satellites. In addition, the MetOp Satellites carry European instruments that are used to make unprecedented measurements of meteorological properties. 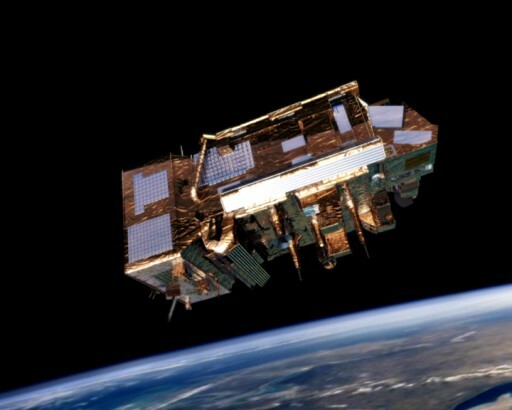 The first MetOp Satellite, MetOp-A, was launched from Baikonur in 2006 by a Starsem Soyuz ST launcher that delivered it to its desired orbit of 817 Kilometers and an inclination of 98.7 degrees. Since then, MetOp-A has been returning data and continues to do so exceeding its 5-year primary on-orbit lifetime. It was planned to launch one MetOp vehicle every five years to ensure continuous data and times of overlap between two satellites that could serve as data characterization opportunities. MetOp-B was originally planned to launch in 2011 before slipping to early 2012 and then to September 2012 with MetOp-C following in 2017. Each MetOp Spacecraft weighs 4,093 Kilograms at liftoff, 812kg of that are the payload mass. 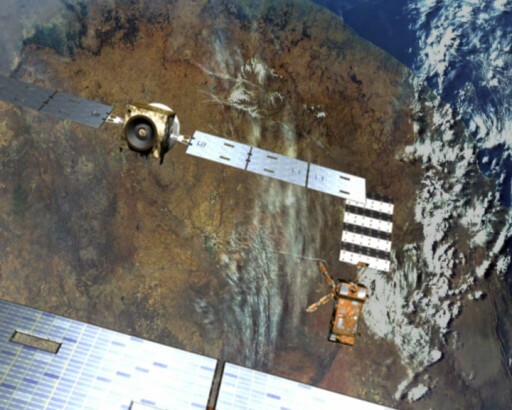 In its deployed configuration, MetOp is 17.6 by 6.5 by 5.2 meters in size featuring a single deployable solar array. Each satellite consists of the solar array and two major sections: the Payload Module featuring the instruments and the Service Module that accommodates satellite command and control hardware, batteries, the propulsion system and communications equipment. 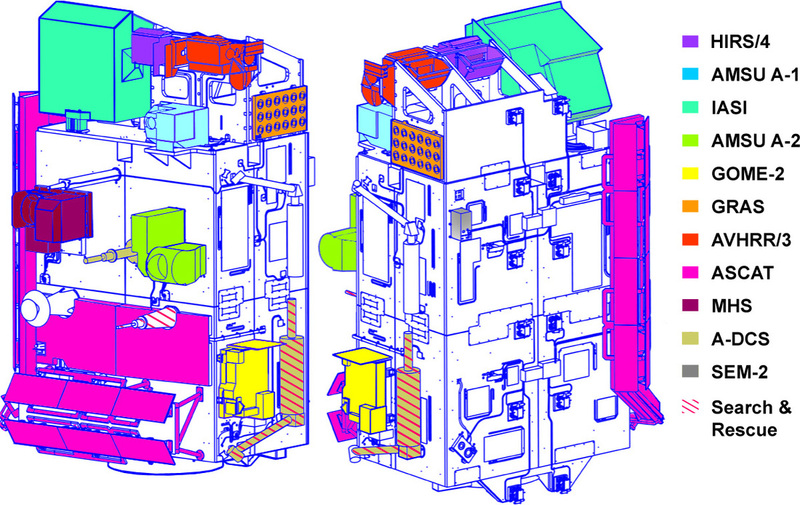 The Service Module is box-shaped compartment that provides structural, power and data interfaces with both, the launch vehicle and the Payload Module. The SM is based on the Envisat/Spot 5 platform. The propulsion system of MetOp is a monopropellant Reaction Control System using two branches of eight 23.5 Newton thrusters consuming Hydrazine Propellant. A total of 300 Kilograms of propellant are inside the vehicle’s tanks at liftoff. The propulsion system is used to make orbit adjustments and maintenance while three-axis spacecraft control is accomplished via three reaction wheels. 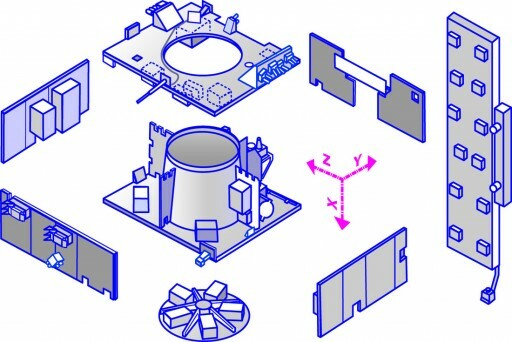 Attitude determination is provided by digital Earth Sensors for roll and pitch, Sun Sensors for roll and four independent two-axis gyros for vehicle state determination. Housekeeping telemetry handling is provided by a dedicated system on the SM that uses S-Band frequency for telemetry downlink and command uplink. The single solar arrays of the MetOp Satellite provides 3,828 Watts of end of life power and consists of eight solar panels, each is 1 by 5 meters in size. Power is stored in five batteries and the power system of the SM provides a stable 22 to 39 Volt power bus for the European Instruments and a 28-Volt bus for NOAA payloads. Service Module Data Handling is provided by a Central Communication Unit (CCU), including a MA 31750 microprocessor. 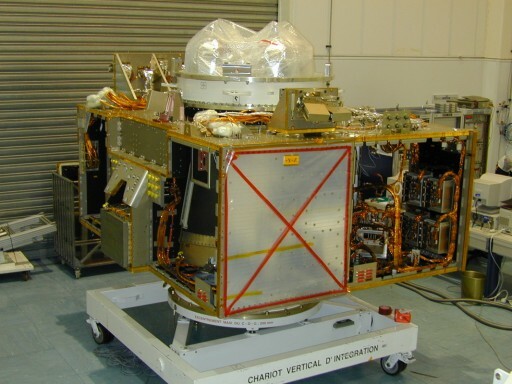 The MetOp Satellites are based on Astrium’s Polar Platform and features a total of 12 instruments on the Payload Module, 7 are common with NOAA satellites and 5 are exclusively flown on MetOp Spacecraft.The five European Instruments are IASI, MHS, GRAS, GOME-2 and ASCAT. 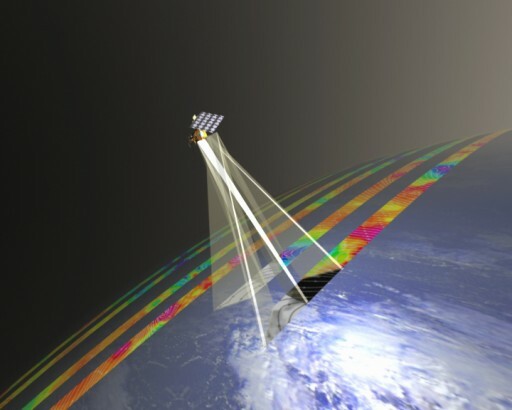 The Infrared Atmospheric Sounding Interferometer (IASI) is one of the most advanced instruments flown on weather satellites to date, measuring infrared radiation emitted from the surface to precisely determine atmospheric humidity and temperature profiles in the troposphere and the lower stratosphere. In addition, IASI can detect a number of chemical components that are contributing to global climate change and atmospheric composition. A total of 8,461 channels in the spectral range of 3.7 – 15.5 µm are being monitored by IASI to determine atmospheric temperature with an accuracy of 1°C and relative humidity within 10% for 1-Kilometer increments of the atmosphere, creating a three-dimensional model of atmospheric properties. Half the raw data volume created by MetOp is generated by IASI. MHS is the Microwave Humidity Sounder the acquires data on atmospheric humidity, including rain, snow, hail and sleet, and temperature at different altitude profiles by measuring microwave radiation emitted from the surface. 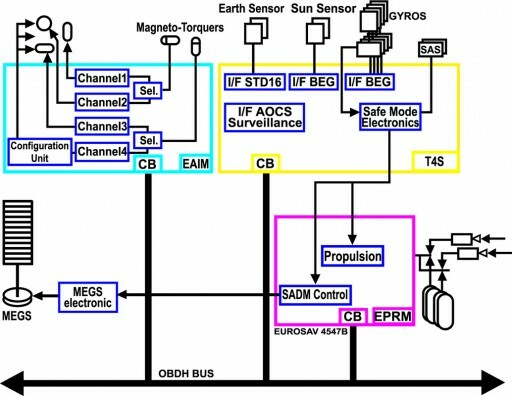 The Global Navigation Satellite System Receiver for Atmospheric Sounding (GRAS) is a GPS receiver that is used as an atmospheric-sounder making at least 500 readings of atmospheric profiles per day. The instrument will provide atmospheric soundings of the temperature and humidity in different layers of the atmosphere. ASCAT, the Advanced Scatterometer, measures wind speed and direction over the ocean by using six antennas that cover two swaths on either side of the spacecraft. ASCAT can also deliver data needed for monitoring of land and sea ice, soil moisture, snow properties and soil thawing. The GOME-2 Spectrometer (Global Ozone Monitoring Experiment-2) uses light reflected by Earth’s Atmosphere and direct sun-illumination to record a number of spectra that are used to determine the exact atmospheric composition and altitude profiles of ozone, nitrogen dioxide, water vapour, oxygen, bromine oxide and other gases. The heritage instrument that are common to NOAA and MetOp Satellites are: AMSU-A1 and A2, HIRS/4, AVHRR/3, A-DCS, SEM-2, SARP-3 and SARR. The AMSU – Advanced Microwave Sounding Units are conventional microwave sounders that measure the scene radiance in the microwave spectrum. AMSU data is complemented by data of the HIRS instrument to calculate the global atmospheric temperature and humidity profiles from Earth’s surface to the upper stratosphere. The measurements can also be used to examine precipitation as well as surface data such as snow cover, sea ice concentration and soil moisture. The High-Resolution Infrared Radiation Sounder, HIRS-4, is a 20-channel radiometric sounder that measures radiance in the infrared spectrum to determine the vertical temperature profile in the atmosphere by combining AMSU and HIRS data. In addition, the data can be utilized to measure the atmospheric pressure profile from the surface to about 40 Kilometers in altitude. 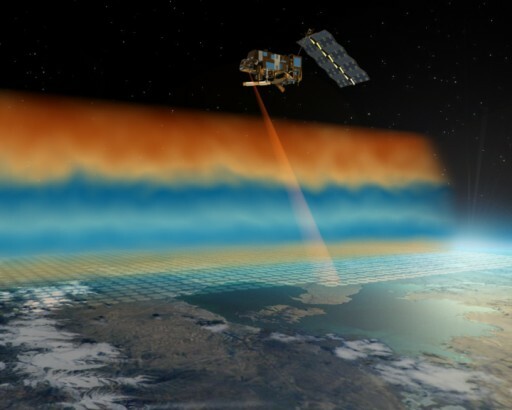 HIRS also measures the ocean surface temperatures, total atmospheric ozone levels, precipitable water, cloud height and coverage and surface radiance. AVHRR, the Advanced Very High Resolution Radiometer, provides day and night imaging of land, water and cloud cover and measures sea surface temperature as well as ice, snow and vegetation cover by scanning the surface in six spectral bands ranging from 0.58 to 12.5 microns. 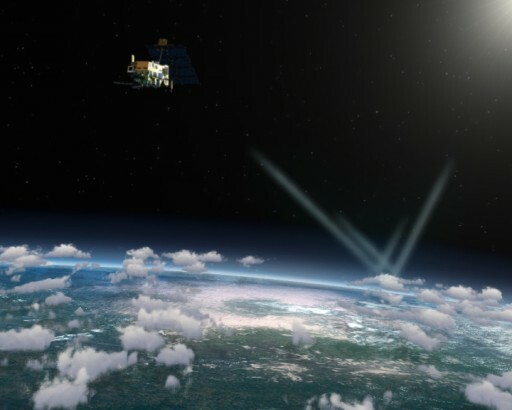 A-DCS, or Advanced Data Collection System, is an in-situ space weather instrument that acquires environmental data and Doppler-derived location services with the main objective being the protection of Earth’s environment. SEM-2 is a Space Weather Instrument that looks at Earth’s Radiation Belts determining the flux of charged particles to deduce the intensity of the belts. It provides knowledge of solar terrestrial phenomena and SEM data will be used to provide warnings of solar wind occurrences and associated geomagnetic storms that can affect a variety of systems including long range communications. The Search And Rescue Processor, SARP-3, is one of two Search and Rescue Instruments featured aboard the MetOp Satellite. It was provided by CNES and is used to process emergency signals from ships and aircraft to determine the name, frequency and timing of the signal. This data is then fed to the second Search and Rescue Instrument, SAPP. The Search And Rescue Repeater that was provided by the Canadian Department of Defence and NOAA, downlinks the processed emergency signal to Local User Terminals (LUTs) on the ground. There, the signals are processed and relayed to rescue mission control centers to start a potential rescue effort. 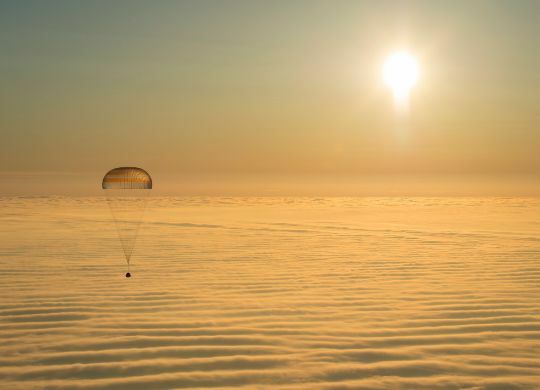 For meteorological applications, data acquired by the spacecraft has to be returned and processed as quick as possible to generate data products of the desired quality. For MetOp, the spacecraft payload data is handled by the Payload Module being stored in solid state recorders for later transmission or being downlinked directly via X-Band or via direct transmission to local users via High Rate Picture Transmission (HRPT) using VHF. The main data acquisition station for the MetOp Mission is the Svalbard Satellite Station in Norway that is located at a latitude of 78 degrees North allowing it to perform a communication session with MetOp once per orbit during which the spacecraft downlinks the 2GB of raw data acquired on the previous orbit to clear its memory. In addition, the McMurdo Ground Station in Antarctica is used for data downlink to accelerate the data return timeline. Data acquired by the two ground stations are immediately relayed to the EUMETSAT Headquarters in Darmstadt, Germany, where they are processed, stored and distributed to weather agencies and organizations within two hours of acquisition using Svalbard and one hour using McMurdo. HRPT downlinks are supported by a network of receivers operated by cooperating organizations that provide direct-read out of real-time data which is sent EUMETSAT for distribution with a latency of 30 minutes for regional weather services. The MetOp program is planned to continue throughout 2020 with possible extensions depending on satellite performance. MetOp A and B is will operate at a phase separation of 180 degrees in an identical orbit as long as both continue to function, however, the HRPT of the A spacecraft will be switched off when the vehicle is above high risk radiation zones, while MetOp B features an improved version of the system that can be active throughout each orbit. For the duration of the overlap mission, MetOp A would only use Svalbard, while MetOp B uses both available ground stations. In addition, the ground swath of the GOME-2 instrument can be reduced on both spacecraft to achieve a higher spatial resolution and combine A and B data for the nominal coverage, but with better data quality.